An archive of some of my older work, complete with educational and witty commentary. Click the image to see in enlarged. 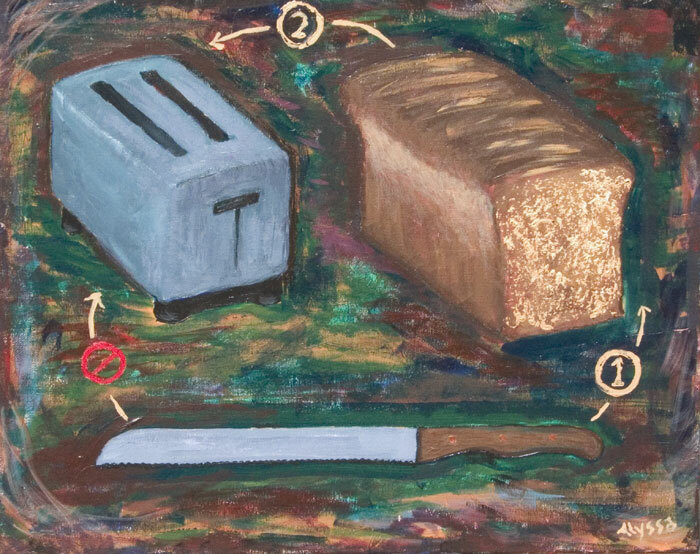 “Knife, Bread, Toaster,” Acrylic on Canvas. I believe there needs to be more humor in art. “Knife, Bread, Toaster” was finished in 3 hours and sold for $50 at the Fremont Fresh Art Festival in 2004. 60% of proceeds benefit the Fremont Rotary Club. The Fresh Art Festival was part of the festivities that occur every year in Fremont at the Summer Solstice. 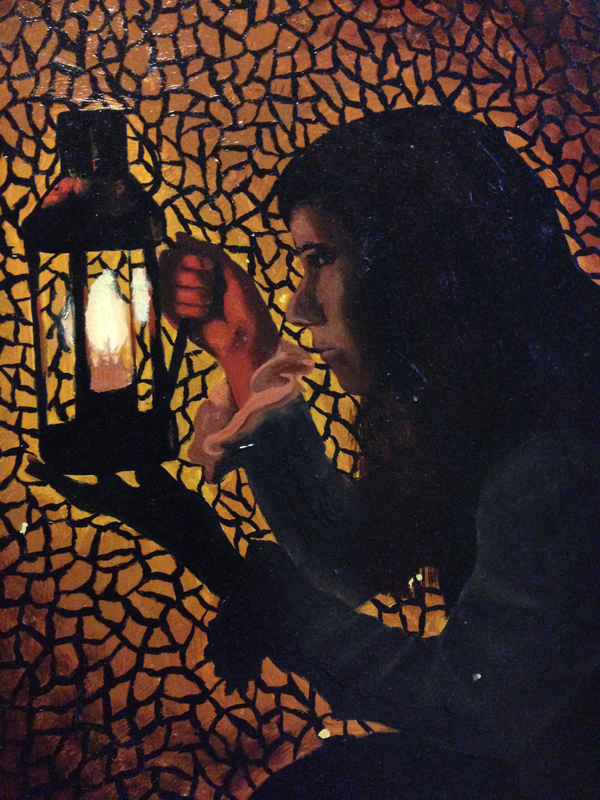 This painting is popular, so I repainted it and made it available on RedBubble.com. I painted this in the early 2000s. When I take photos of myself and paint them I never want it to actually look like me unless I’m doing a proper self-portrait. So I took some liberties with the face shape on this, and the background is invented. 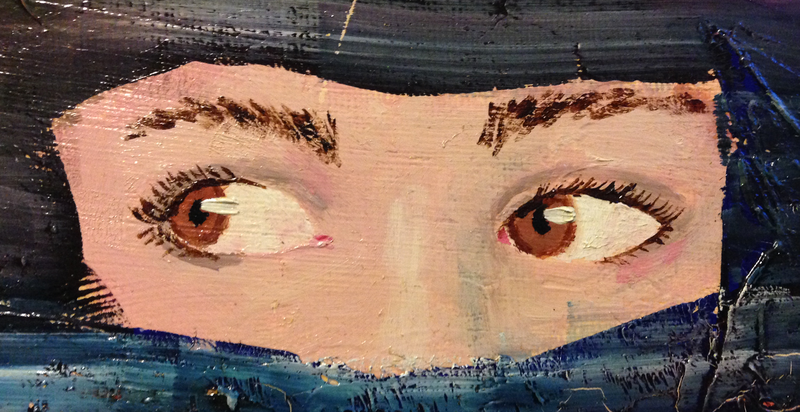 I believe this was an unconscious attempt at expressing the eyes-averted, veiled appearance of so many of the Muslim women I associated with in my years with the Islamic Community in Seattle. Or maybe I just thought the rest of the painting sucked and painted over it. 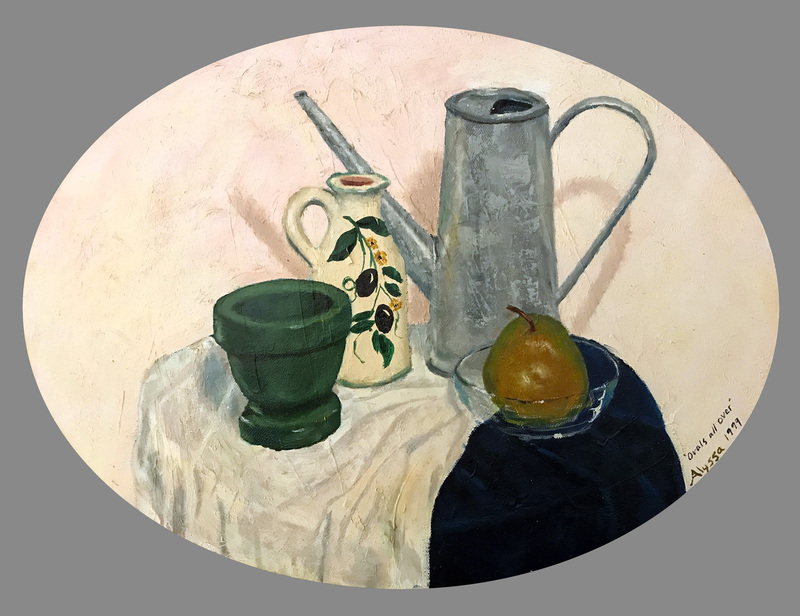 I had fun with ovals in this still life painted with oils in 1999. I think I did this one when I was in my early 20’s. I had an art magazine with this portion of Michelangelo’s Sistine Chapel on the cover, and I liked it so much I wanted to paint it. So I did. 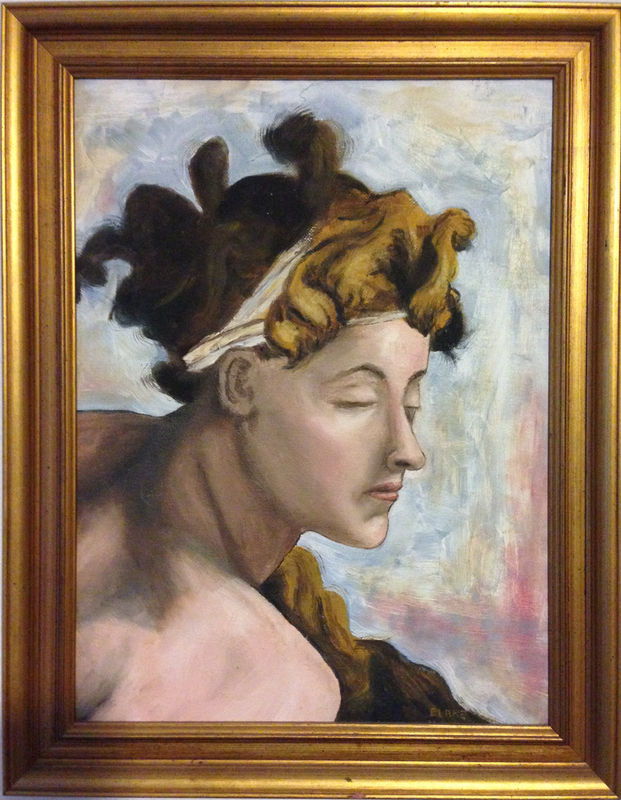 I believe this was done around 1987 when I was an art major at the University of Delaware. I had not yet learned to apply the color depth lessons I was to learn later, so the shadows are basically just brown. 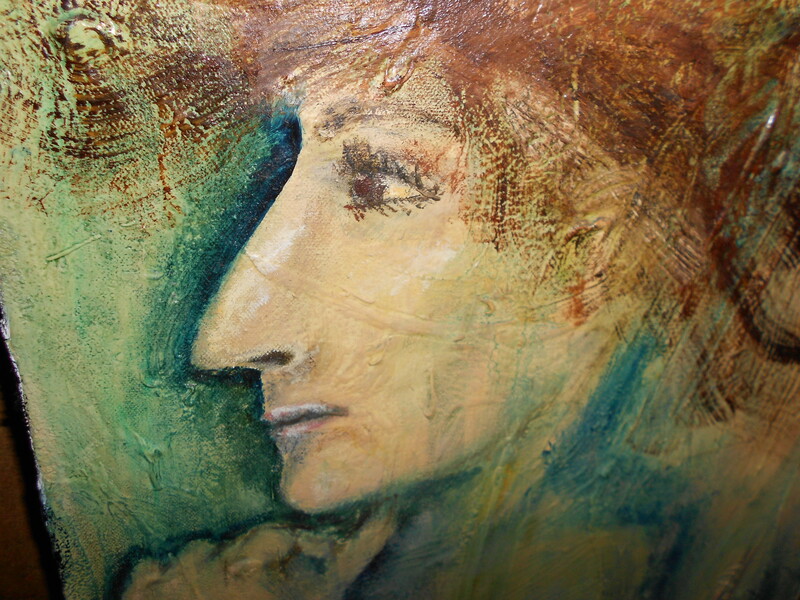 I started learning to oil paint when I was 9 years old, in about 1977. I believe this one was painted in the second year of the class, when I was around 10. 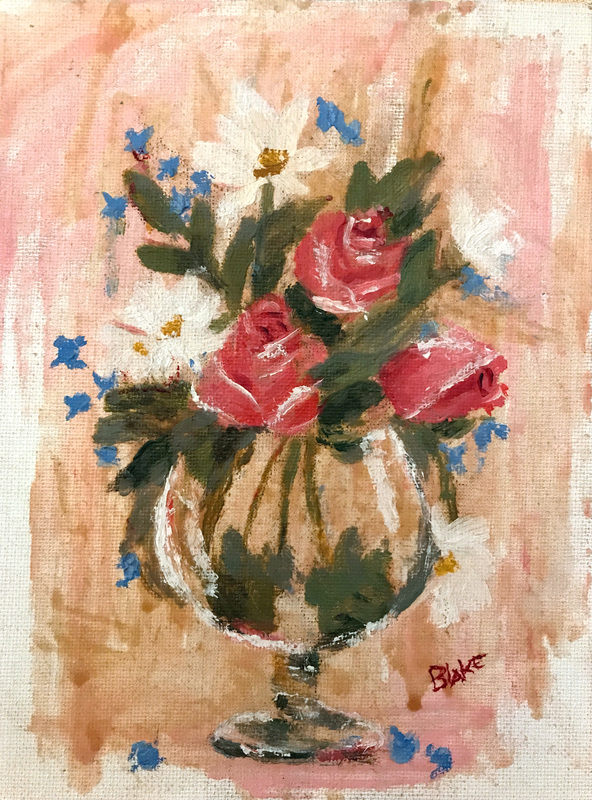 The assignment was to paint the still life using only a palette knife, no brushes. 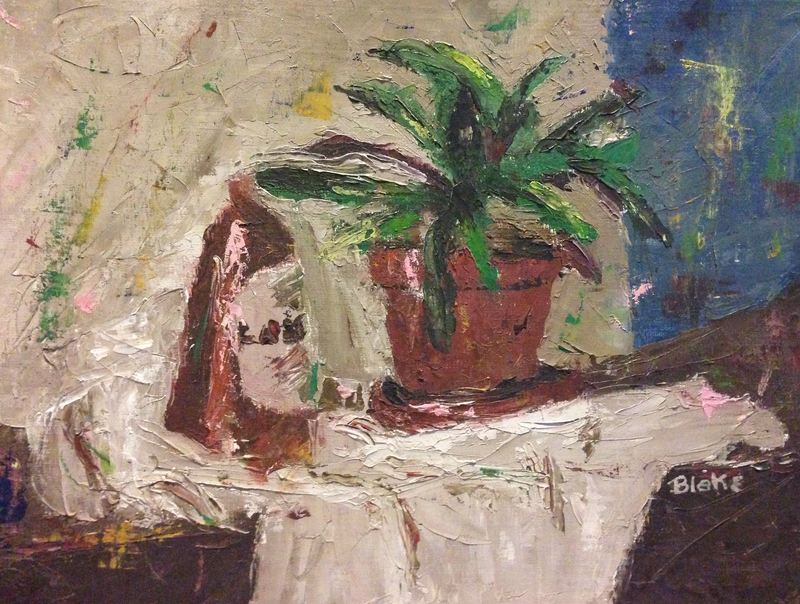 Thus a life long appreciation of the palette knife began.